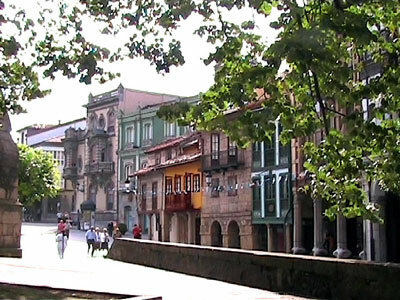 Below is a small selection of additional photosgraphs taken in and around the beautiful old town of Aviles that show some of the streets and sights not included on the other pages of Asturia Guide. 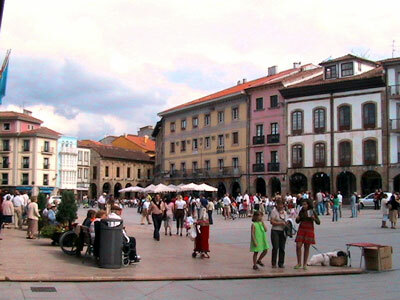 The main objective of this page is to "try" and show how colourful the various buildings of the old quarter are, and the contrast between Aviles and most of the other towns in northern Spain. 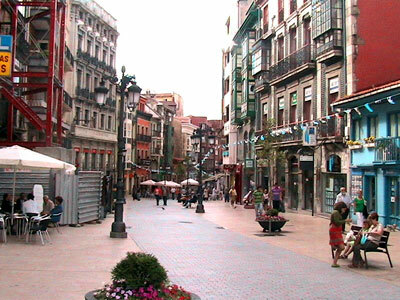 If you get the opportunity to vist Aviles you should certainly take it. 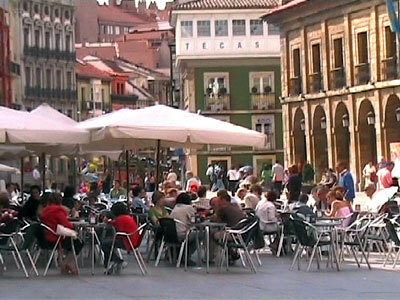 The large, busy and ever popular plaza de Espana that lies at the heart of Aviles old town. 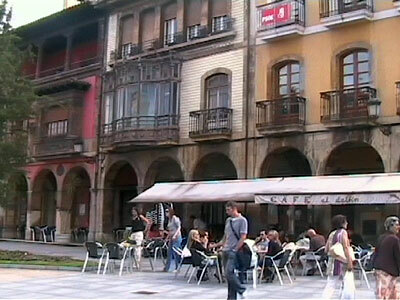 A typical example of the terraced buildings that line the streets of Aviles. Few are grand in themselves, but together they make a colourful street scene. 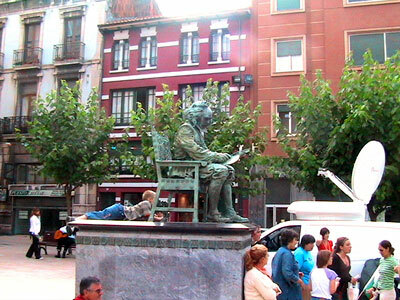 Aviles has far fewer statues and sculptures than say, Oviedo, but here is one. 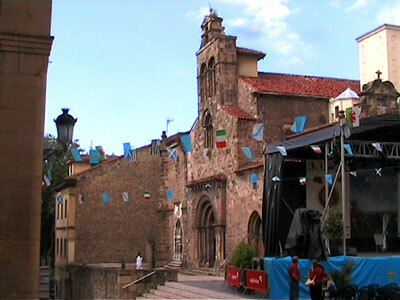 This is the very old church of Iglesia de los Padres Franciscanos. Unfortunately the small plaza to the side of it was the venue for a musical performance later that day, hence the stage to the right. 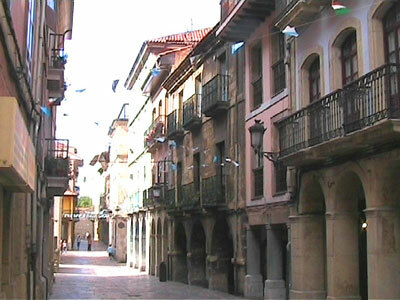 Another of Avles old town's main streets, this time Francisco Street, one of the best in the old quarter. This is another view of the large plaza de Espana, the point from which many tourists start and finish their journey around this pretty old town.